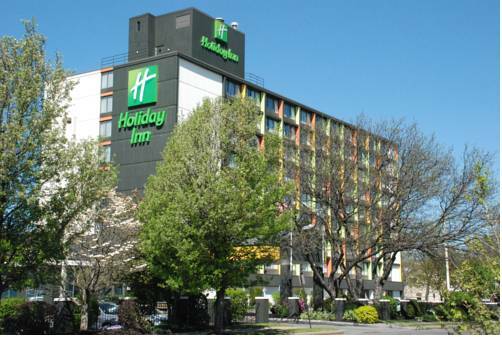 Our Boston Area Hotel Location is ideal for any traveler! Our hotel is less than a mile from Boston and all of the history and area attractions of Boston and nestled between the academic hub and pharmaceutical companies of Cambridge only two miles away. With our address, you are just minutes from Boston and Cambridge. Take our free shuttle within a three mile radius of the hotel to Faneuil Hall, New England, TD Garden, MIT, Harvard and Tufts University, Bunker Hill Monument, USS Constitution and Assembly Row featuring high end outlet shopping and a variety of restaurants. Our hotels guests appreciate being four miles to Logan Airport or Fenway Park, home of the Boston Red Sox. Boston companies such as Amedisys, Mass General, Spaulding Rehab, Mitsubishi, and Sapient, Triumvirate, and Cambridge companies including Akamai, Amgen, Biogen Idec, Genzyme, Google, Novartis, and Schrafft Center are nearby and accessible with our hotel shuttle. Guests and families love our Sports Deck featuring a large indoor heated pool, basketball sports court, rock climbing, pingpong, bumper pool and movies on Friday and Saturday nights on our 16 ft screen. Amenities include free wifi, free parking, large guest rooms with refrigerators and Keurig coffee makers, 47 inch HDTV with over 200 channels. We also offer free access to our fitness room and business center, both accessible 24 hrs. Tax on our rooms is only 11.7 percent, whereas Boston and Cambridge is 14.45 percent. DRAFT: Catch a game on one of our large HDTV screens. Pair one of our local drafts with our signature beef sliders or chicken wings. For multi taskers, bring your laptop and finish that project you're working on, all while noshing on great local fare. Childrens's program - Visit the Sport Deck for indoor heated pool, 12 ft rock climbing wall, foosball, bumper pool, table tennis, half basketball sports court and Dive-In Movies on Friday and Saturday nights on 16 ft projection screen. Union Square: Our junior ballroom is 2,400 sqft of fix meeting space. The room feature an entire wall of windows equipped with sun shades and black out shades. Room is wired for wireless and wired Intenet. Room features built in cabinets and 18 ft ceilings. Granite LinksVoted Top Ten Best New Upscale Golf Course in the Country and "100 Greatest Golf Courses in America!" by Golf Digest. Private club that has limited non-member access. 27 challenging holes of links style golf. Tavern Restaurant is open to non-members. USS Constitution Museum and ShipTour the world's oldest commissioned warship still afloat. TD GardenHome to the Boston Celtics and Boston Bruins the TD Garden also hosts concert series, ice shows, professional boxing as well as a variety of other exciting entertainment. Paul Revere's HouseBuilt around 1680, this is the oldest building in downtown Boston. It served as the home of silversmith Paul Revere and his family from 1770 to 1800.